This beautiful Yellow Feather Jasper gemstone comes from Utah. The native feeling and color reminds me of a Arizona desert with wild horses running free. 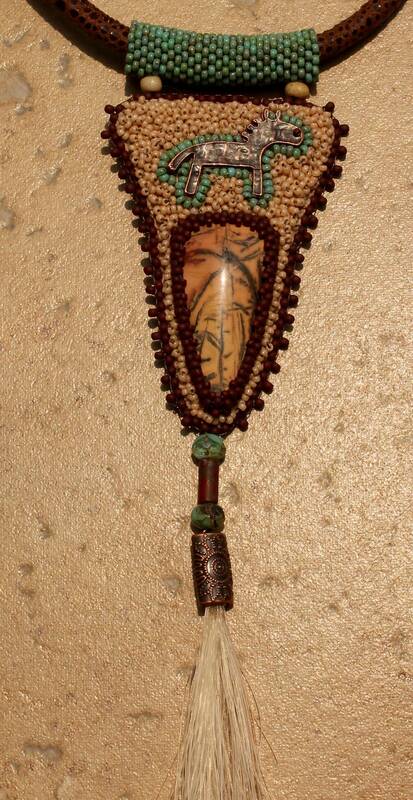 The pendent hangs from a suede cord that measures 21 1/2 inches. 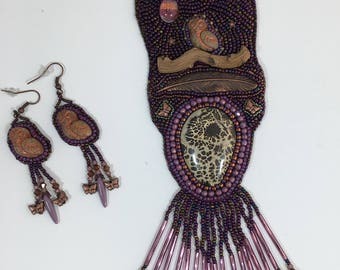 (can be shortened before shipping if needed) Pendents total length is 6 1/4 inches which includes a genuine horse hair tassel. Backed in soft Ultra Suede.